A majority of Americans are on board with the idea of passing additional driving laws and would like government officials to take more actions to improve highway safety to reduce the risks of a car accident in Fort Myers and elsewhere in the United States, according to a recent survey released by the AAA Foundation for Traffic Safety. The release of this survey follows the United Nations’ kick off of ‘Decade of Action on Road Safety’. Their campaign aims to reduce the total number of motor vehicle accident deaths and injuries. 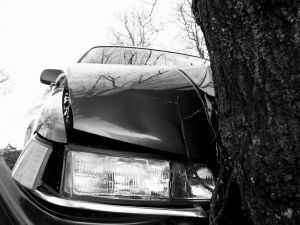 Our Fort Myers injury attorneys understand that more laws and regulations may be needed to help increase the safety of all motorists. The United States is on board and has endorsed the Decade of Action. The campaign aims to stabilize and then reduce the number of deaths worldwide by 2020. “At a time when more and more U.S. highway safety agencies are adopting “Toward Zero Death” goals, it is very heartening to see motorist support for more, not less action by government to make our roads safer,” added J. Peter Kissinger, President of the AAA Foundation for Traffic Safety, that commissioned this survey. -More than 60 percent of American citizens agree that the U.S. needs more laws to prevent people from participating in dangerous driving habits. -Most of Americans believe that both automakers and the federal government should be doing more make cars safer. -Nearly 90 percent of Americans think that all new drivers should have to complete a driver education course before they are able to get their driver’s license. -More than 50 percent of Americans agree that their own state government needs to step up and do more to make their own roads safer. -Nearly three-quarters of Americans agree that all driving safety laws need to be enforced more strictly. “As the global community has initiated action to combat the public health crisis associated with motor vehicle crashes, the U.S. should lead by example and invest even greater resources in laws, education, technology and road design to reduce the daily highway carnage,” said Kissinger. In the United States, more than 25,000 passenger-vehicle occupants lost their lives, and another 2.35 million were injured in traffic accidents in 2008, according to National Highway Traffic Safety Administration. That same year, Florida experienced nearly 2,000 traffic accident fatalities. More than 1.3 million motorists are killed on roadways worldwide each year. Annually, roughly 3.5 million are injured, and many disabled as a result of car accidents worldwide. Associates and Bruce L. Scheiner, Attorneys for the Injured, has spent four decades fighting for the rights of motorcycle riders throughout South Florida, including Fort Myers, Cape Coral, Naples, Port Charlotte and Sebring. Call for a free and confidential consultation to discuss your rights. 1-800-283-2900.